The LSA is the major professional society in the United States that is dedicated to the scientific study of language. It plays a critical role in supporting and disseminating linguistic scholarship, as well as facilitating the application of current research to scientific, educational, and social issues concerning language. Chung, a syntactician, is a leading authority on Austronesian languages, especially Chamorro, a language spoken by 45,000 people in the unincorporated U.S. territory of Guam and in the U.S. commonwealth of the Northern Mariana Islands. In 2008, she was awarded a grant from the National Science Foundation for a three-year collaborative project to help preserve the endangered Chamorro language. 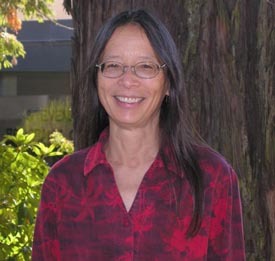 Since joining UCSC in 1986, Chung has served as chair of the Linguistics Department, chair of the Philosophy Department, chair and member of the Committee on Academic Personnel, and member of the UC Merced Committee on Academic Personnel. Much of her latest research is on the interface of syntax and semantics and has been done in collaboration with Vice Provost and Dean of Undergraduate Education William A. Ladusaw. In the same LSA election, UCSC alumnus Eric Potsdam was also elected as a member of the organization's Executive Committee. Potsdam is associate professor of linguistics at the University of Florida and program director of linguistics at the National Science Foundation. This means that three of the six elected members of the LSA's 2010 Executive Committee (Eric Potsdam, Christopher Potts, and Rachel Walker) are now alumni of UCSC's Ph.D program in linguistics.